Merlin was Spanish brand of motorcycles , manufactured initially in Vilanova from 1980 to 1984. 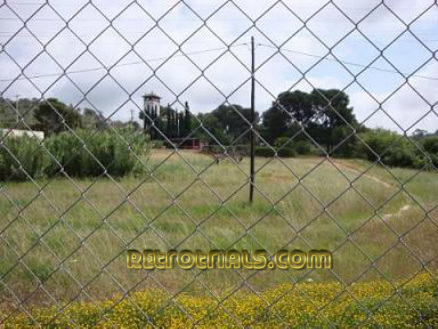 The company then looked to expand and moved to larger permises at Fornels de la Selva , Salt , Girona, Spain from 1984 to 1989. 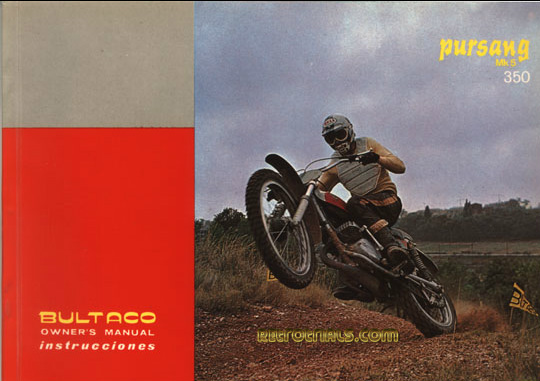 The company was founded by Ignacio Bulto who was the 4th son of Bultaco founder Paco Bulto . Bulto was 4 times Spanish Trials Champion. He also rode competively at motocross and was 9 times runner up but injury held him back. 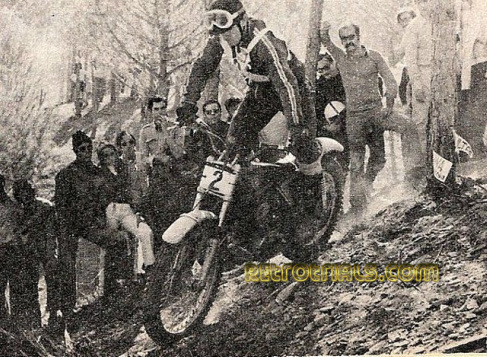 After the resignation of Paco Bulto from Bultaco and the imminent collapse of Bultaco , Ignacio in 1980 recognised an opportunity for another Trials manufacturer . 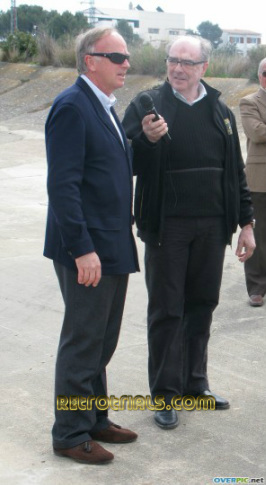 He also had the knowledge and contacts of his family to help to souce parts , dealers and customers alike. 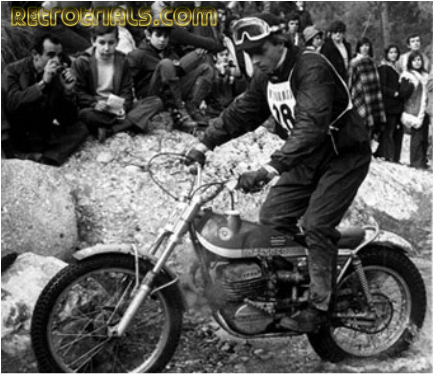 Ignacio had been the development manager at Bultaco after he gave up competition and had a perfect understanding of the sport to start his own company. He created Merlin with his business partners Jony Regas Pedro Arpa and Lluis Planes. 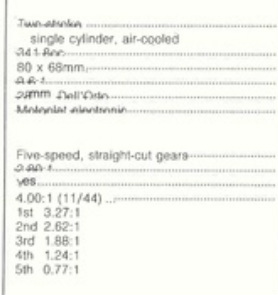 Later all trials motorcycles were fitted with Cagivas five speed two stroke 350 cc engine. Given the amount of work that would be required , there is little chance and even less evidence to suggest that these engines were modified for trials as is suggested elsewhere. The initial factory rider as Juan Freixas. Ignacio Bulto apparently looked very stressed at World Championship Merlin debut. These engines had 5 gears norrowly spaced apart from 5th gear which is suitable for road work.the large grunt made these engines suitable for trials. The aircooled engines featured a plated bore in an aluminium barrell which was unusual for such an early bike. 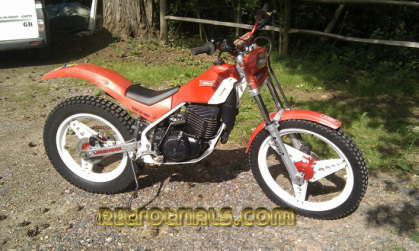 The trials motorcycle model was branded the DG-3 and commenced production in a twinshock framed machine in 1983. During the 1980s there won a great deal of competitions including the Spanish championship in 1984 and 1985 with Lluis Gallach. Merlin also won the Belguim championship in 1983 with daniel Crosset. What granted Merlin great attention in the Trials World Championship was their 1988 sponsored rider Eddy Lejuene the former 3 times World champion for Honda.Unfortunately eddy did not fair so well on the Merlin. 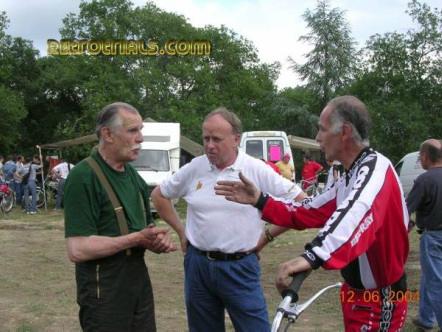 It shouldnt be forgotten however that Merlin had top riders from the start , who all left a significant mark on the World of trials. 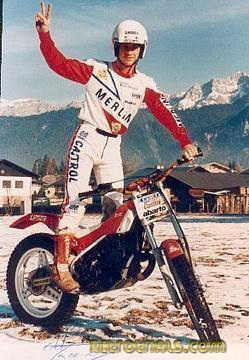 In previous years former World champion Manuel Soler rode for Merlin on the DG-3 twinshock in addition to Llius Gallach , Pascal Couturier,Gabino Renales, Juan Freixas and Jordi Soler. Both Soler's were cousins of the Ignacio and its likely that this relationship helped to attract their skilled riding to Merlin, which otherwise would have come at a high price that the company wouldnt have been able to afford. In the final few months of Merlin's existance the company tried to forge links with Mototrans an Italian motorcycle company who had links in spain. Unfortunately this didnt help either Merlin or Mototrans and both companies dissapeared. Merlin's creation happened at the perfect time. 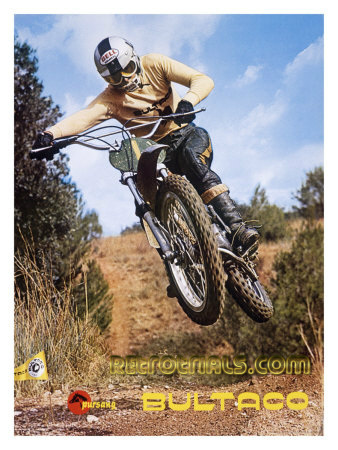 Bultaco were just about to collapse, Ossa , SWM and mototrans all went bust in the early 80's.Nevertheless a ride of success with the early twinshocks wasnt followed up with a competitive monoshock. 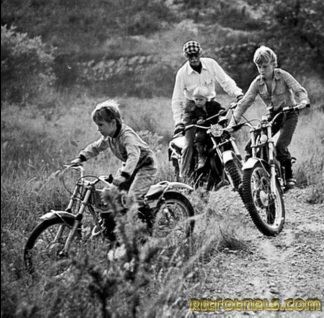 Beta were leading the way along with Yamaha in creating competitive bikes that the market wanted. Merlin didnt keep up and it just took 2 years with low sales to write the company off. Merlins downfall at the time of 1989 can be safely put down to an uncompetitive bike given the advances that other companies were making. In December 1988 Merlin announced their absortion into the company GasGas who moved into their premises in Fornells de la Selva. The brand then disspaeared from the market. 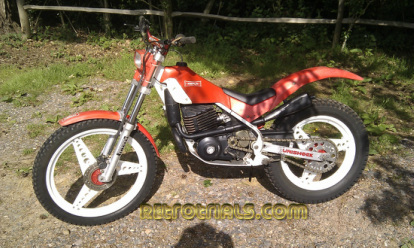 Some of first Gas Gas 125cc trials bikes featured Cagiva engines that were left behind at the factory by Merlin. Ignacio Bulto was a 4 time Spanish Trials champion and 9 times runner up in the Spanish motocross championship He always wore his silver helmet with black stripe. A very rare photo of Ignacio Bulto riding in 1987 on the first Merlin FIUS monoshock model , shortly after it was released. 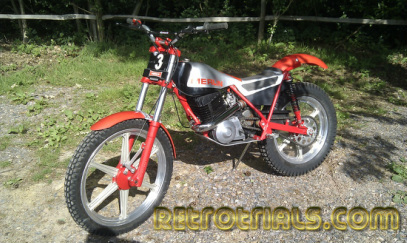 Merlin were created in 1980 by Ignacio Bulto and Juan Rigas.and and started making childrens motorcycles . 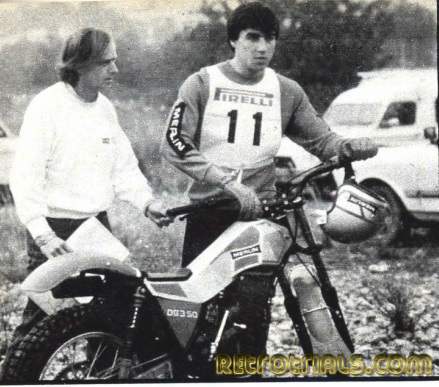 This was a lucrative side of the business and brought in much needed cash.With the extra money that these sales generated Ignacio Bulto made the move into adult trials bikes , an area his family were famous for. During late 1981 work got under way on this machine with Ignacio Bulto carrying out testing .In February 1982 Ignacio Bulto releaved the new DG350 at the Barcelona indoor trial to great applause from the local home crowd. In late 1982 the DG350 was available for sale. 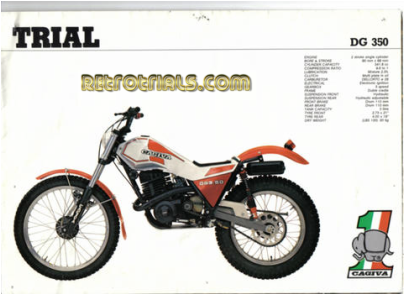 This model ran untill late 1984 and was promoted initially at World and Spanish rounds by Juan Friexas who had moved from Ossa.He had some excellent results on the new machine. During 1983 as machine sales grew more top riders were employed. These included Jordi Soler , cousin of Ignacio. 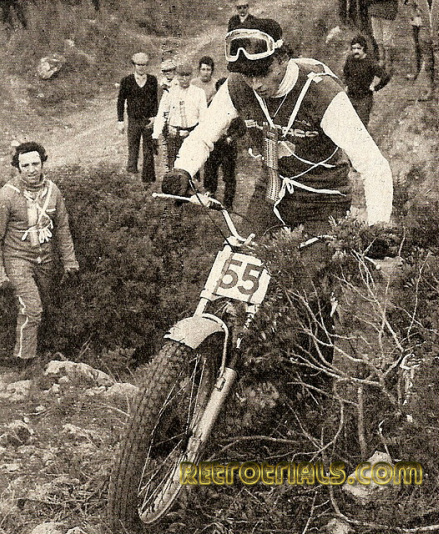 Manuel Soler - ex Bultaco and Ossa Spanish champion ,Gabino Renales - he'd just left the crumbling Ossa. Luis Gallach was also employed and rode this DG350. 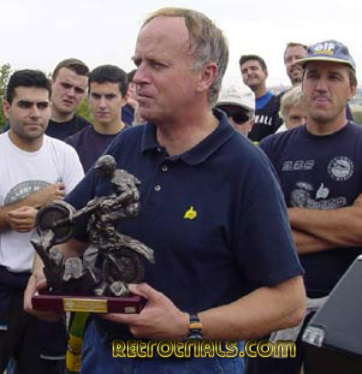 He would have the most seccessful time of his career on Merlin winning the Spanish championship. Unlike manufacturers these days the chasis was made in house. 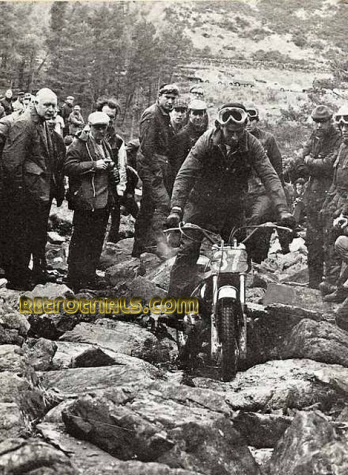 The forks were units used in the Bultaco Sherpa. The seat and tank were one unit and made from fiberglass. The Cagiva engine sourced from Italy saved Merlin the expense and possible business suicide of creating thier own engine. This 350cc single cylinger two stroke engine has a nicosil bore which was quiet unusual and new at the time. This keeps manufacturing costs down as less engineering is required. The engine was used in another motorcycle from Cagiva at the time and like most factories , even to this day , they are happy to sell their engines.Contrary to popular belief the engine was fitted to the Merlin chasis with no modifications at all and simply geared down to offer the low speed required in sections.This helped to keep costs down. The import laws at the time meant that you could import products to Spain only if there was a manufacturing connection , therefore Cagiva engines were allowed accepted. The Merlin DG350 is a very capable twinshock bike , offering good power for high gears and excellent ground clearance. At the time is was at the top of its game.. Even today its is still a competitive Twinshock machine..
By 1984 Merlin had empoyed Josep Paxau a young engineer, fabricator and lover of Trials. Using this new expertise and good sales Bulto saw an opportunity to expand the range. The Gallach Replica was , as the name suggests a replica of the machine that Merlin works rider Lluis Gallach rode. A new voluptuous tank / seat unit gave it a sleek look. It was fitted along with a new exhaust rear box. EevNew Telesco forks were fitted to match the Telesco rear shocks. The top yokes featured bar clamps that could be reverse allowing the riders to different heights to alter the riding space to suit. Most noticably , special wheels were fitted. These featured magnesium hubs with 6 alloy spokes to alloy tubeless rims. 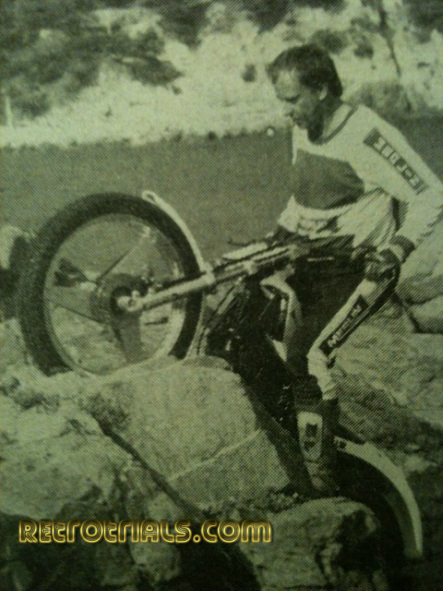 Initially the FIM banned tubeless rims on safety grounds but Merlin got around this by fitting tubes. This ban was lifted in 1986. The new Gallach replica was beautiful machine ,far more responsive due to it weighing less. It lost its weight on the front end. This made it easy to move around , lift up and pivot. This machine was the last of the twinshocks as the mono dawn was upon us. The Gallach replica was one of the last developed twinshock machines. It came at the dawn of the monoshock era when the Yamaha TY250 was making an impact. 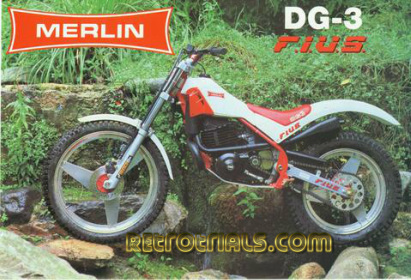 Merlin knew they had to change their design.Many months of development work produced the DG350 FIUS. This was an entirely new model with new chasis. The Same Cagiva engine was present but the new chasis featured a vertical aluminium spine inboard of the footrests. The single shock was mounted to this along with the linkage at the bottom. The bike appeared to have large reservoirs at the front ,underneath the tank. these however were exhaust expansion chambers designed to give the bike low down grunt. They also added weight to the front to keep the front wheel from rising. The bike had a modern futuristic look and featured Nagesti three spoke wheels , which were very striking. In 1988 the constant need to develop models slightly to keep up with competition resulted in a colour change for the Merlin FIUS. Other colour changes the bike remained the same. Eddy Lejeune campaigned this Merlin in 1988 immediately after he had left Honda. These bikes produce a large amount of power. The upright bar position and low foot pegs gives a modern bike feel.